Book unique things to do offered by locals in Amsterdam. 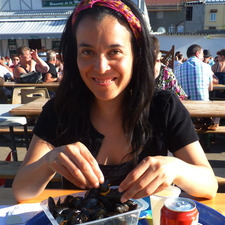 An expat blogger living in The Netherlands for 8 years. When you think of Amsterdam you think of tulips, windmills, clogs, canals, bikes, Vincent van Gogh, the Red-light district and, of course, our infamous coffee shops. But Amsterdam is so much more. Amsterdam is a bustling and fun city that offers something special for everyone. It's a great place to get lost and explore by foot, bike or canal. Just hop on a boat and you'll see that there are over a hundred and fifty canals that run through and surround this city. You need time to soak up its rich history and culture as well as rub elbows with the friendly locals (who all love to speak English!). Walking through the streets of Amsterdam is like walking through time, from the 17th-century to modern Dutch life. At one time, Amsterdam was the free trade center for the entire Western World. And on every corner there is sweet little shop or café, something unique and special ready to be explored. Trying to squeeze everything in one day is impossible, in fact, by the end of the day you’ll feel like you just got started. Go for two days and you will have time to visit a museum or two and maybe squeeze in some shopping time. Go for the three days or more and you might start feeling like a local!